In this post I have said that I think, independent variables in positive psychology are usually too narrowly chosen by over-emphasizing strengths and virtues as possible causal factors of flourishing and focusing too little on contextual, situational, or structural factors. I said it would be good to put more focus on other determinants of thriving than strengths and happiness, in particular situational determinants. In this post I quote Claude Steele who, in his book Whistling Vivaldi, stresses the same point by saying: "I am a psychologist with a psychologist's bias - that of looking inside people for the causes of their behavior and achievements. [...] Psychologists focus on the internal, the psychological. [...] We emphasize things about the actor - characteristics, traits, and so on - that seem like plausible explanations for her behavior. And we deemphasize, as causes of her behavior, the things we can't see very well, namely, the circumstance to which she is adapting". 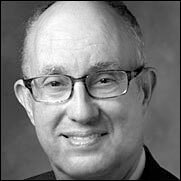 Jeffrey Pfeffer (photo), makes the same case: "Many of the studies of dispositions make virtually no effort to control for plausible situational factors that might also explain the results. An important consequence of failure to control for situational causes is that the unique effects of situations and dispositions become impossible to untangle, and there is the potential for misattributing situational effects to dispositional causes."